Everything you Want. Exactly what you Deserve. Liberty Square invites you to enhance the way you live in Newark, Delaware. 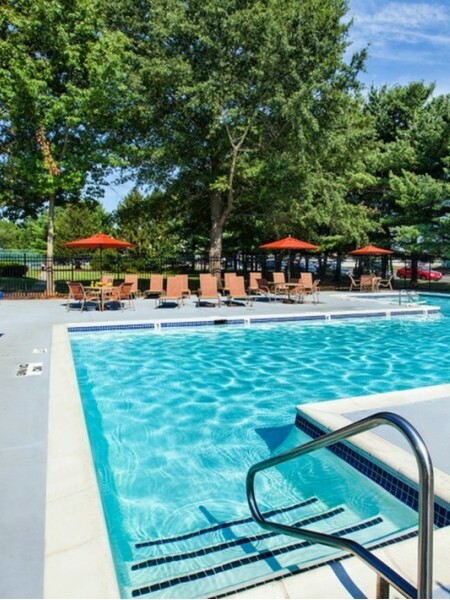 Nestled in a serene park-like setting, you'll find more than an ordinary apartment community. You'll find yourself home. Designed specifically with you in mind, our wide selection of one and two bedroom floor plans offer exceptional apartment homes to choose from. Newly renovated to provide the best of modern functionality, our spacious layouts feature upgraded interior living spaces ideal for you and your pets. Please click on our pet policy link and call our leasing office for more information regarding any possible pet restrictions or guidelines to adhere to. Ideal for entertaining, separate dining areas and upgraded appliances enhance the whole experience. Select designer finishes also make home truly feel like home beginning with plank flooring in our kitchens to eye-catching balconies for a breath of fresh air. Savor in the living convenience of large closets, designer cabinets, ceilings fans, and some utilities included in the price of rent to give you more time to spend on the things that matter most. Join us and live more fully with an amenities package that wows both indoors and outdoors. Relax and feel at ease in our refreshing swimming pool with incredible views of our beautifully landscaped grounds. Get your heart racing and have some fun with neighbors on our tennis court and playground. Enjoy more time under the sun and take your next meal outdoors in our shaded picnic areas with BBQ grilling stations. Join us for a fresh cup of coffee and stay connected in our WiFi coffee lounge offering complimentary coffee everyday. Everyday is the time to explore our fantastic location. Within 10 minutes to school, work, and play, Liberty Square offers a perfect location everyone will love. Appreciate our proximity to University of Delaware, Christiana Hospital, Christiana Mall, and so much more! Easy access to I-95 means every destination is only moments away including downtown Wilmington. Unite with other outdoor enthusiasts and explore all White Clay Creek State Park and Middle Run Valley Natural Area have to offer just 5 miles away. Live the charmed life at Liberty Square!